My name is Moses Shumow. I am an associate professor of digital media studies at Florida International University. I grew up in New Mexico in a town with 300 people and no stop lights. My high school graduating class had 33 students. I am most passionate about engaging my students in critical thought and community service projects focused on social justice. I’m looking forward to seeing the impact of Eyes on Your Mission on the apprentices, my students, and the non-profits we are trying to help. My name is Alexa Victoria Jane. I am a graduating senior at Florida International University. I majored in Digital Media Studies and minored in Social Media and E-Marketing. I’m half Filipino and half Cuban, and my bi-cultural upbringing in Miami has influenced nearly every facet of my personality. I’m passionate about interior decorating, event design, photography, technology, anthropology, science fiction, fantasy, and anime. I’ve been fortunate enough to make a living doing what I love. 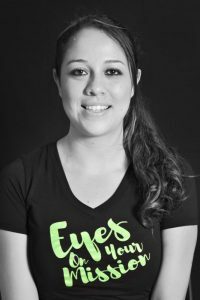 I’m an event designer based in Wynwood. I’m also a social media marketer, specializing in event and food photography. 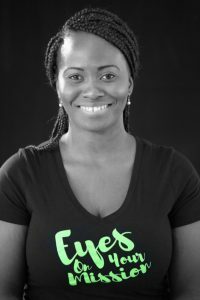 Eyes On Your Mission has inspired me to give back and incorporate charitable work into my many entrepreneurial endeavors. I’m looking forward to applying to a graduate program to study digital or cyborg anthropology. My name is Alyssa Walters. I am a senior at Florida International University. I am most passionate about helping others. I’m certified in commercial photography and Photoshop. I’m about to graduate college, and I’m hoping to attend graduate school to further my studies. 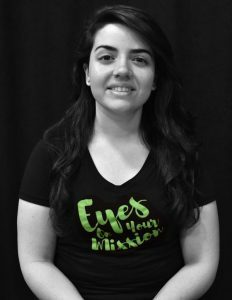 I decided to participate in Eyes on Your Mission academy to further my knowledge in the production process. 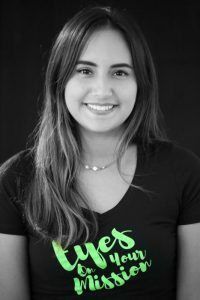 Hi my name is Ana Lemus, and I am a senior at Florida International University. I am most passionate about film and TV production. I believe when used correctly it can make a great impact in this world. I am currently working at Univision and I am looking forward to graduating this summer. 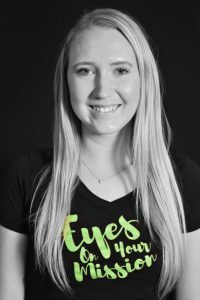 I am excited to be part of Eyes on Your Mission because I am using my skills to help the community. 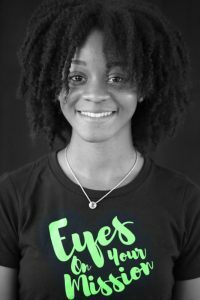 My name is Ava-Dawn Davis and I am a senior at Florida International University. I am most passionate about fighting for equality for women in the workforce. I am looking forward to graduating and working as a producer in the media industry. My name is Carolina Cuadra. I am a senior at Florida International University. I am most passionate about writing and traveling the world. I was born and raised in Miami. 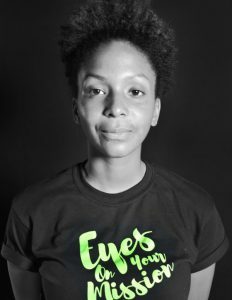 I’m participating on Eyes on Your Mission Academy because I want to help better the world and we are a stepping stone. 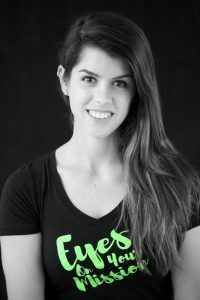 My name is Carolina de la Fuente, I am a senior at Florida International University. I feel passionate about storytelling and topics of social justice such as women’s rights and racial equality. An interesting fact about me is that I am a DJ for my college radio. I am looking forward to graduating and applying my passions into tangible projects that help change the world. My name is Delia Lopez. I am a digital media student in the production track at Florida International University. I am most passionate about helping people be happy in whatever way I can. When I was younger, I used to watch movies and constantly think about how they were made and how the creators chose to get the story across. I’ve now learned how to do some of that myself, and in the future I hope to help people express themselves and tell their stories. That’s why I’m so excited to be a part of this project; I’m hoping to help these organizations get the recognition they need to serve the people who deserve it. My name is Estefania Jaramillo. I am a Project Manager and Content Creator at Hello Printing Ideas. I am most passionate about telling a different story to the public. It’s always good to be able to create useful content and to be able to promote change with it. In the future, I want to be a top reporter and work as a director in a very well known TV channel. I’m excited to be a part of this project because changing perspectives and helping a community in need through different types of media will not only be a fulfilling experience but will boost my creative mind to the fullest. 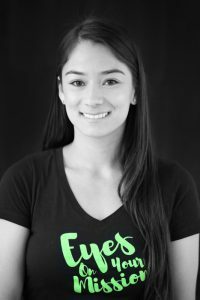 I’m Jasmine Romero, and I’m a senior at Florida International University. I’m passionate about art and videography and how it ties into storytelling. When I’m not drawing, shooting or editing video, you can hear me co-host a weekly radio show on WRGP. In the future, I hope to continue making short documentaries on art, music, and culture here in Miami. Eyes on Your Mission has given me the opportunity to sharpen these skills and pass them on to others. My name is Jinette Garcia, and I have Eyes on Your Mission. 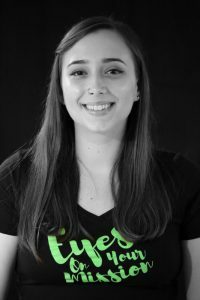 I am senior TV production major at Florida International University. I am most passionate about video production and creative planning. In the future, I want to utilize my production skills in a successful TV and/or digital career. I’m excited to be a part of this project because I truly feel this team is made up of people who sincerely care about the organizations they are helping out. 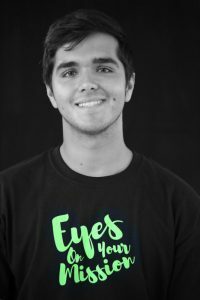 My name is Jolson Diaz, and I am a senior at Florida International University. I am most passionate about photography, and my love for being behind a camera is what interested me about video production. My future plan is to make a living from taking photographs and becoming a published photographer. I believe the Eyes on Your Mission Academy is a great opportunity for helping the community. 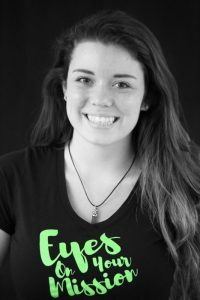 My name is Leilani Bruce and I am a Senior at Florida International University. I am most passionate about learning about new cultures and perspectives. I was born in Miami, Florida to Cuban and Jamaican parents. I am constantly developing and exploring new interests and passions. I hope to pursue a creative career though u am still deciding the path I will take. The Eyes on Your Mission project is inspiring to me in that it allows us individuals to grow while helping each other and those in need. My name is Melina Pardo. 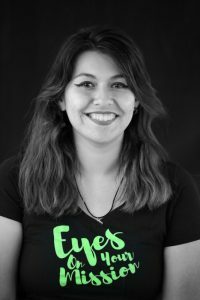 I am a senior graphic designer and photographer at FIU. I am most passionate about my work in photography. My favorite type of photography is film. I plan to graduate in a few weeks and get a job in either graphic design or photography. 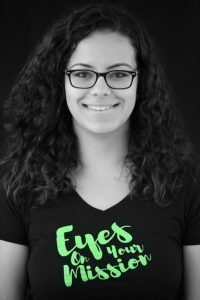 I decided to participate in the eyes of your mission academy in order to use my skills to help non profits and individuals grow. 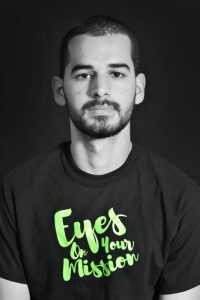 My name is Nicholas Olivera, and I am a student at Florida International University. I am most passionate about making people laugh, and one day I’m going to write for television shows. 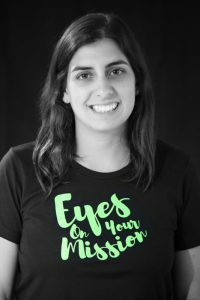 I applied to the Eyes on Your Mission campaign because I want to help people. My name is Rikki Barry. I am currently a senior studying broadcast media at Florida International University. I am most passionate about art expressed in different media. It intrigues me to see the ways in which people articulate their thoughts and feelings and to see the platforms through which they emote these. I hope to use this passion to help others turn their visions into art effective for the 21st century, through multimedia. I love the Eyes on Your Mission project because it allows me to do just that. It not only provides a non-profit and me the opportunity to grow, but it allows us, together, to gift someone with an audience and a voice. My name is Sabrina Pimentel, and I am a senior. I am most passionate about inspiring others. I am constantly finding ways to help people think outside the box. One second I am helping a company improve their online presence, and the next second I am blogging about the best place to have brunch in Miami. My future goals are to work in the marketing department at a super-creative company. I have a passion for marketing and broadcast, so I would love to work at a network in their marketing department. After gaining more professional experience I would like to open my own company that helps startups in everything creative. I feel that this project will impact the community in more ways that we can imagine. Inspiration is everything, and I hope our video will inspire millions of people to help these nonprofits. 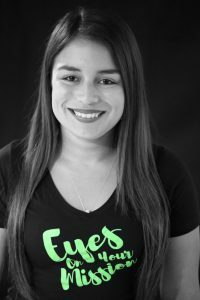 My name is Wendy Hernandez, and I am a senior at Florida International University. I have recently become passionate about photography. I look forward to graduating college and expressing my creative side with the use of my camera. 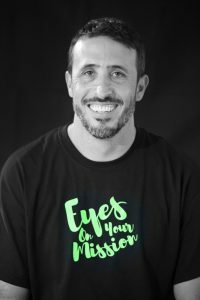 I believe the Eyes on Your Mission Academy is doing an amazing thing by bringing awareness to non-profits that make a difference for the lives of many people. My name is Zoe Boyd. I am a senior at Florida International University. I am most passionate about social media and marketing. 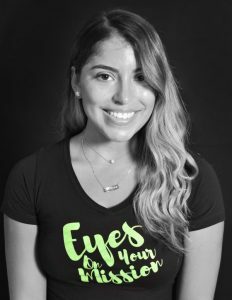 I have worked as a campus representative for the Victoria’s Secret PINK brand for the past two years and have been using my social media expertise to build an audience for the PINK FIU social channels. I am looking forward to graduating in August and finding new and exciting opportunities outside of Florida.